committed to raising standards and delivery of care that goes above and beyond ensuring residents enjoy the exciting and stimulating lifestyle they deserve without compromise – our ethos is living life to the full. Millennium care currently operate 6 homes across Lancashire offering Nursing, Residential, Respite and Dementia care. Millennium care are due to open this Month their latest addition to the Millennium care umbrella Worthington Lake care home, Standish Wigan. A change of routine and environment can be very daunting for someone who’s living with dementia. Worthington Lake enables greater freedom for people living in the home to do more for themselves and feel less restricted. It is Millennium care’s mission to make this sense of person identity flourish at Worthington Lake. Millennium care have spent an extensive amount of time and investment researching and creating a pioneering environment and working to incorporate an emotion driven care team in all of their homes. Recently one of Millennium care homes Lavender Hills based in Ramsbottom were featured on BBC one and North West tonight following one of their residents flying a plane to mark her 100th Birthday, this was organised by Millennium care and Lavender Hills as Mary expressed a keen interest in aircraft which stems from her late husband being in the RAF during WW2. 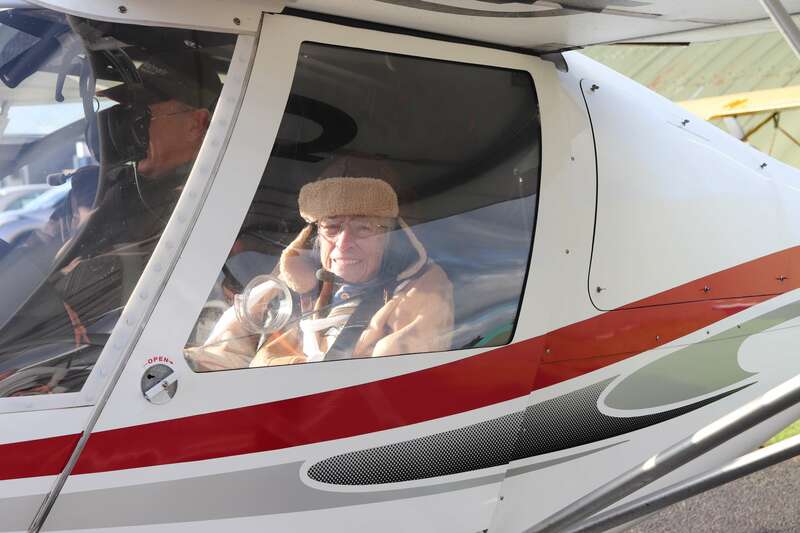 Mary said flying the plane over Lavender Hills was one of the best days of her life, this is a perfect example of the ethos of living life to the full. Staff in Millennium care homes are trained to provide the very best person-centred care. Features, layouts and facilities at the new Millennium home Worthington Lake help maintain residents’ quality of life, improve working conditions and provide a better care culture for residents, staff, and visitors alike. The central hub of the home is designed to be engaging and inviting, kitchenettes encourage residents to participate in activities and transform each meal to a participatory social dining experience. As many of Millennium care’s residents will have spent much of their lives taking part in household chores, to continue these in a care home environment can be calming for a person with dementia, which in turn gives a sense of purpose and fulfilment. Worthington Lake’s unique design includes kitchenettes in each dining room, with facilities to make drinks and snacks, set tables for meal times and a washing machine, this design helps maintain personal identity. Millennium Care only works with highly skilled individuals. Staff get ongoing training to keep them up to date with the best practices across the care spectrum. With specialists in every area – from dementia care to nursing care – we can provide a truly innovative approach to care.